How to Connect a Camera to a Car DVD? Nowadays most of the best car gps can support the rear view camera connection. It always has the back sight video input for the camera. So when you reverse a car, the Car DVD with automatically turn to rear view screen to make you see the back of the car more clearly. Firstly, you need to decide what type camera you'd like to install with a Car DVD GPS. 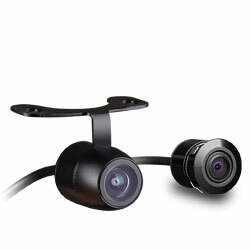 There' re many easy to install cameras in the market, such as Drilling & Hanging Dual-Use ones, and License Plate CAMERA. Most people put them in the plastic bumper so they don't have to drill into the car's sheet metal. Second, you need to drill a hole for the camera. Check the installation manual to see what size drill bit to use. Don't make the hole too large or too small. 1. Connect the VIDEO OUT of camera to BACK SIGHT VIDEO IN of Car DVD. 2. Connect the power cable of camera to the power of reversing light of your car. 3. 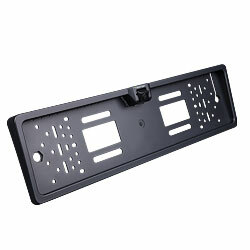 Connect the reversing wire of Car DVD to your reversing gear in your car. 2016-3-11 14:35:11What if A Controller Meets your Eonon Android Car GPS? 2015-5-13 10:58:18Memorial Day Sale for Memorial Car DVD with Up To 35% Off + 2 Free Gifts for Member's Orders!